[SatNews] The spacecraft provides DTH (Direct-to-Home) as well as direct-to-cable services and contribution feeds to digital terrestrial television networks in its target markets. 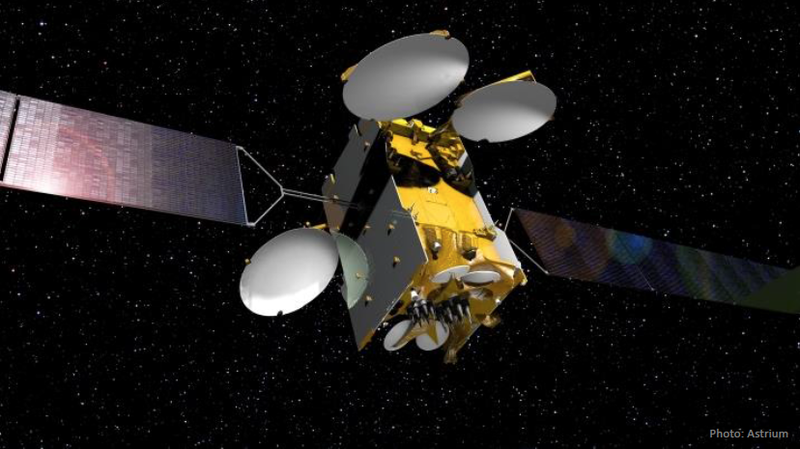 SES S.A. (NYSE Euronext Paris and Luxembourg Stock Exchange: SESG) announces that the ASTRA 5B satellite went live today at the orbital position of 31.5 degrees East over Central and Eastern Europe, Russia and the Commonwealth of Independent States. The spacecraft provides DTH (Direct-to-Home) as well as direct-to-cable services and contribution feeds to digital terrestrial television networks in its target markets. ASTRA 5B was successfully launched by an Ariane 5 rocket from the European spaceport in Kourou, French Guyana, on March 22nd, 2014. Since then, the spacecraft has successfully completed a number of in-orbit maneuvers and undergone a series of extensive in-orbit tests to confirm its flawless performance. ASTRA 5B was built by Airbus Defence and Space Systems in Toulouse, France, based on the highly reliable Eurostar E3000 platform. The satellite is equipped with 40 Ku-band transponders (36 MHz equivalent) and 6 Ka-band transponders. The spacecraft also carries the second SES hosted L-band payload for the European Commission’s European Geostationary Navigation Overlay Service (EGNOS). EGNOS helps to verify, improve and report on the reliability and accuracy of positioning signals in Europe. ASTRA 5B replaces ASTRA 1G at the orbital position of 31.5 degrees East, SES’s new video neighborhood for CEE, Russia and CIS. With ASTRA 5B the available capacity at that SES slot increases from 19 to 40 active transponders. The maneuver illustrates SES’s capabilities to successfully develop new orbital positions using spacecraft that have achieved their primary missions, until the orbital slot is supplemented with fresh, state-of-the-art satellite capacity.